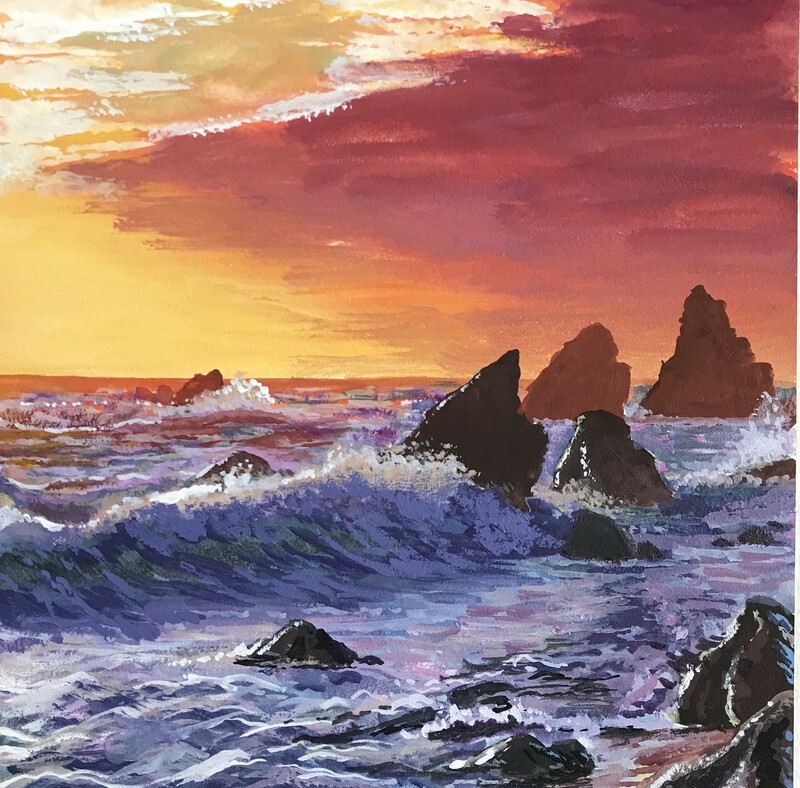 Seascape in gouache. Really loving this aquabord, the roughness of the surface makes it easier to blend colors smoothly. And I find I work better with the small size, I don’t fuss too much over the details.